Make some noise with your next project! 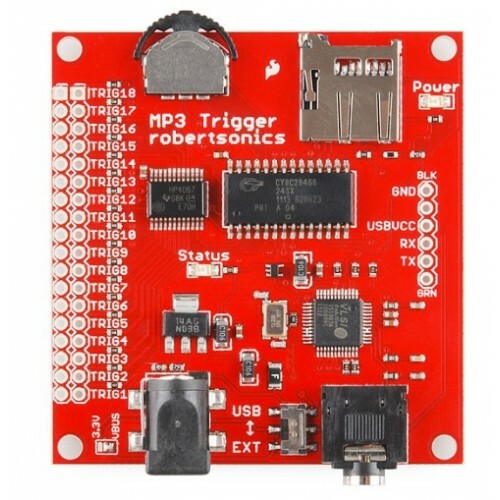 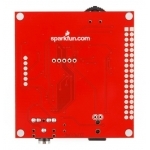 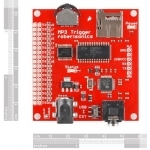 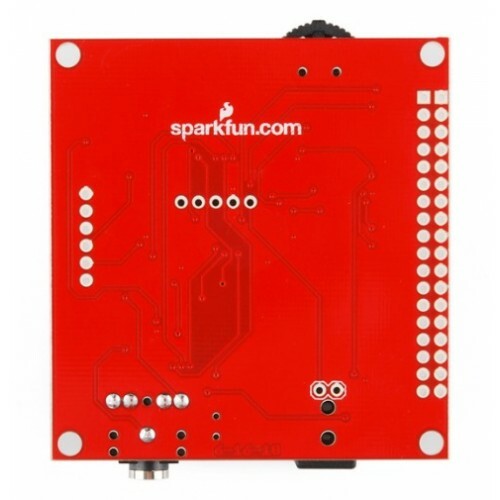 The MP3 Trigger board is built to make MP3 sound integration easier than ever. 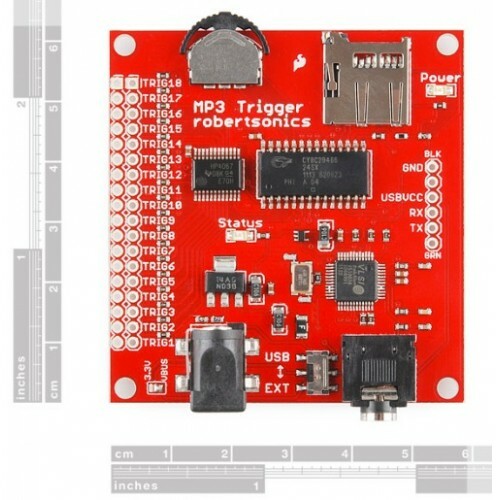 The board has 18 external trigger pins that will directly trigger pre-selected MP3 tracks, and a full-duplex serial control port that provides full transport control, remote triggering for up to 256 tracks, and fast real-time volume control. 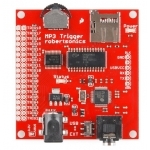 MP3s are stored on FAT16 formatted SDSC or FAT32 formatted SDHC micro-SD flash memory cards. 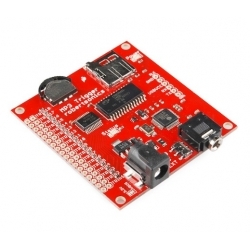 In addition, optimized code now achieves 192Kbps stereo playback from a wider range of cards than before.